James Jean's envisioning of Mickey Mouse and Minnie Mouse transformed into beautiful statues. To commemorate the 90th anniversary of Mickey Mouse, Good Smile Company presents statues based on the works of world renowned artist James Jean. 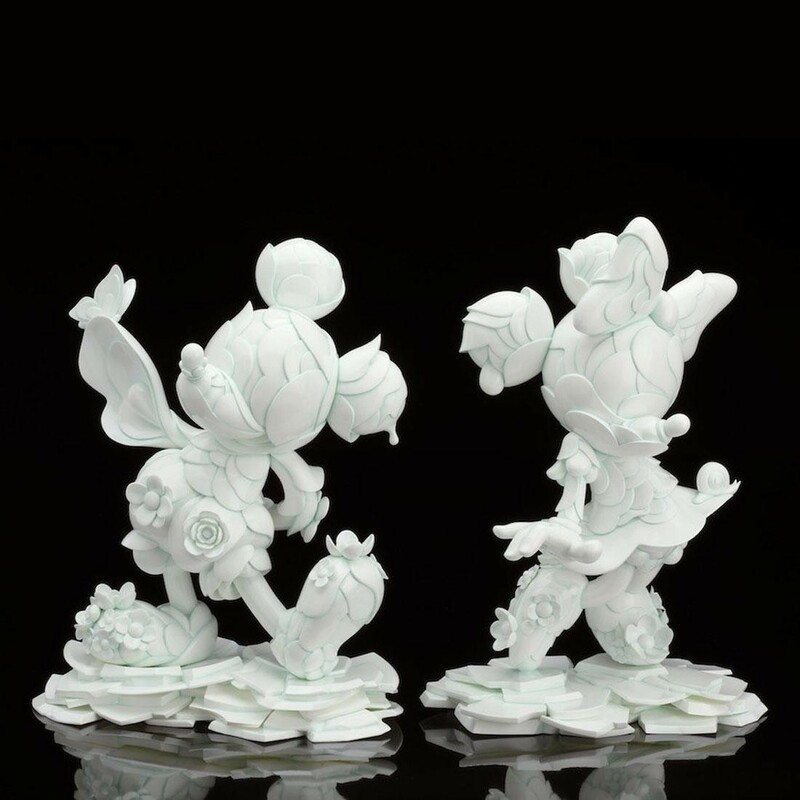 This statue set of Mickey and Minnie not only showcase the fine details of James Jean's artwork, but also feature a unique porcelain-esque paint job, captured with close supervision of James Jean himself to ensure a faithful rendition of the original work. 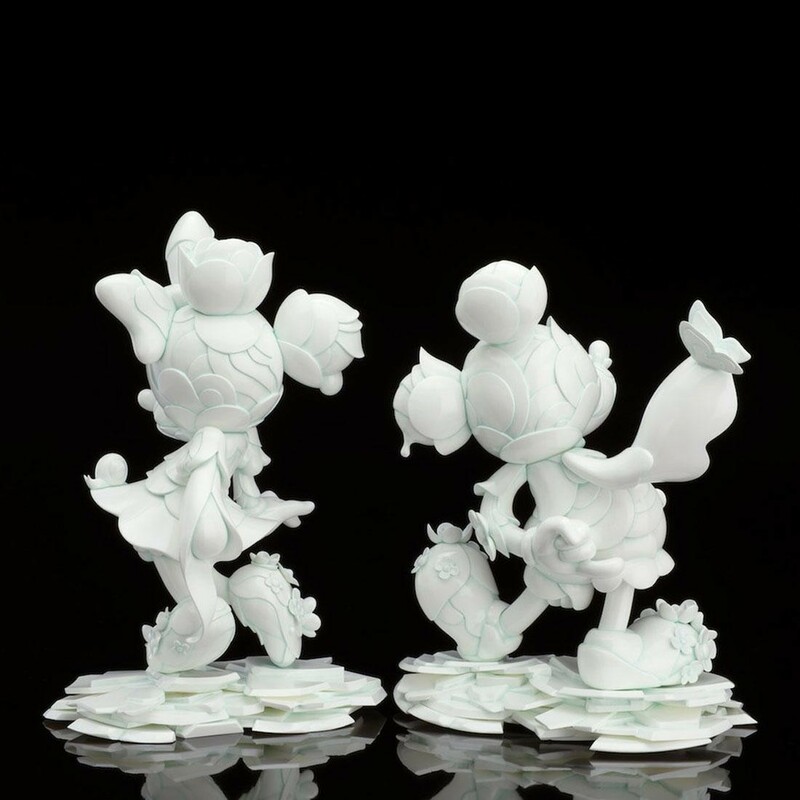 The set is a must-have collectible for both fans of James Jean and Disney, so be sure to add it to your collection! Specifications: Two painted non-scale statues each approximately 9.8" (250mm) in height. Packaging: Paper with urethane foam cushion.